When a singer is found murdered, with her scent glands excised from her body, detectives probe a group of friends who attended boarding school with her. Jean-Baptiste Grenouille came into the world unwanted, expected to die, yet born with an unnerving sense of smell that created alienation as well as talent. 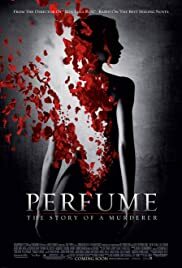 Of all the smells around him, Grenouille is beckoned to the scent of a woman's soul, and spends the rest of his life attempting to smell her essence again by becoming a perfumer, and creating the essence of an innocence lost. This Spanish/German/French co-production turns out to be an interesting and exciting film based on Patrick Suskind (he is known to be very skeptical and for a long time did not want to sell the movie rights to his books) novel well adapted by Andrew Birkin and being developed during eighteen century , Paris . 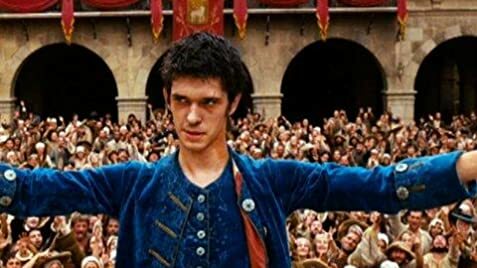 It deals with Jean Baptiste Grenouille (Ben Whishaw), an unfortunate young but born with an extreme olfactory sense who seeks the definitive scent . For that , he doesn't doubt to kill in cold blood . Jean becomes a psychopathic series killer , but he tries to preserve the vital essence for an ultimate perfume . Firstly , Jean falls enamored a beautiful girl (Karoline Herfurth) who finds in the streets and posteriorly he stalks numerous victims . After that , he serves for the most famous perfume maker named Giuseppe Baldini (Dustin Hoffman) . Later on , Baptiste pursues a gorgeous young girl (Rachel Hurd-Wood: Wendy in Peter Pan), daughter of a rich man named Antoine Richis (Alan Rickman) who engages her to the marquis of Montesquieu (Harris Gordon) and attempts to track down the heinous murderer . Meanwhile , the vicious killer displays a criminal rampage and goes on his objective , the creating the world's rapturing perfume . The picture is a co-production among various countries as Germany (Constantine Films) , France (Nouvelles editions) and Spain (Castelao , Julio Fernandez) realized in big budget and great production values . The film contains suspense , explicit and grisly violence , involving sexuality and disturbing images . Although sometimes is slow moving and overlong for a runtime about 147 minutes ; however resulting to be entertaining for the continued suspense . While the look is suitable atmospheric and colorful , the plot stretches plausibility to the breaking point , a fantastic final at the town square . During preproduction, director/screenwriter Tom Tykwer, Director of Photography Frank Griebe , Production Designer Uli Hanisch, and Costumer Designer Pierre-Yves Gayraud studied the complete works of Caravaggio, Rembrandt and Joseph Wright in order to ensure the film's aesthetic correctly captured 18th century France . Sensational outdoors are marvellously filmed on location in Figueras , Gerona , Tortosa and Alps locations . Glimmer and evocative cinematography by Frank Griebe and sensitive , appropriate musical score , including a feeling leitmotif . Taut and suspenseful direction by Tom Tykwer . This is Tom Tykwer's international breakthrough and was a hit with both audiences and critics alike . Tom's energetic style helps push this elegant and brilliant flick . The movie garnered many awards and was one of the most successful European films of the year . Former and subsequent projects filmed in creative manner and technically developed by Tykwer include the followings : the successful Run Lola run (1998) ,The princess and the warrior (2000) ,Heaven (2002) , The International (2009) and the ambitious epic Cloud Atlas (2012). Rating : Better than average , it's a good rendition of the famous best seller.